Visit Shankaracharya hill and the holy temple. 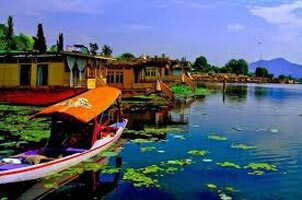 Enjoy Dal Lake Shikara ride as well as Speed boat ride. 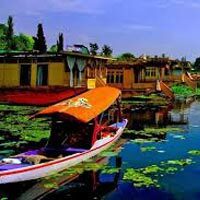 Also visit island of Char Chinar. Photograph yourself in Kashmiri outfits at Char Chinar. In the afternoon visit Nishat Bagh-'The garden of pleasure' and Shalimar Bagh-'Abode of Love'.Enjoy shopping in the evening. Proceed to Gulmarg - known as 'Meadow of Flowers'. En-route view the apple orchards. Visit Khilanmarg. Experience the longest Cable Car ride up to the Affarwat snow point. En-route pass by the picturesque golf course. Free time to play and enjoy in the snow. Visit Avantipur ruins, Cricket bat factory and pass-by the Pampore Saffron fields. Enjoy shopping in the evening at Pahalgam. Proceed to Chandanwari for a magnificent view of Lidder valley. Visit Aru Valley - a fascinating Valley around 15 km from Pahalgam. You can photograph yourself in Kashmiri outfits at various photo studios and (enjoy other activities at Pahalgam on your own). Enjoy get together with your travel companions in the evening. Arrive in Katra, the base point of Vaishnodevi in the evening. Later proceed for the Vaishnodevi Temple, a trek of total 28 kms. Arrival from Vaishnodevi. Free day for relaxation or leisure activities. Proceed to Jammu. Board the flight for your hometown. Tour Concludes.